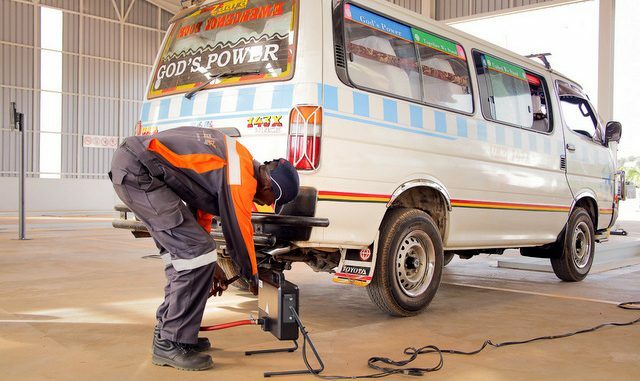 A taxi undergoing the mandatory vehicle inspection at the SGS Automotive centre in Kawanda. Courtesy Photo. Today is the deadline for mandatory vehicle inspection but the may mean little after Parliament intervened on Thursday. All vehicles were supposed to undergo the mandatory checks by a private company, Société Générale de Surveillance (SGS) before the commencement of the new financial year 2017/2018. But legislators on Thursday evening resolved to lift the June 30th deadline following complaints raised by Mukono South MP Johnson Muyanja Ssenyonga about unclear guidelines used in the exercise. Muyanja said that many vehicle owners stand at risk of having their vehicles impounded while others would simply bribe the officers in charge to bypass the checks, thus absence of compliance levels. He added that most vehicles involved in the recent road carnage is not because of poor mechanical condition but rather reckless driving, drunkenness and over speeding. “It is not true to come and deceive this August House that the cause is mechanical or otherwise,” said Ssenyonga. Ssenyonga also raised concern that out of the money collected in the ongoing exercise, only 28% including Value Added Tax is remitted to government while the rest is taken by the contractor. 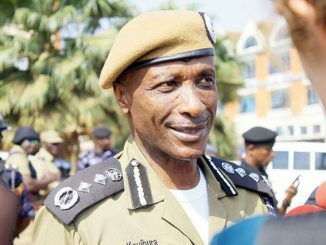 Bukuya County MP Micheal Bukenya, referring to the Uganda Police Annual Crime and Safety Report, noted that the causes of accidents in the country are mainly due to human error constituting 81 percent, while vehicle condition is only 2.2 percent and unknown causes constitute 14 percent. The MP was countering Works and Transport minister Monicah Azuba’s request to parliament to support the vehicle inspection programme to reduce the road carnage and air pollution in Uganda. Kabula County MP James Kakooza also weighed in saying that the same company SGS was contracted by government to foresee the shipment of commodities to the country and that 80% of goods shipped in turned out to be substandard and that the company was suspended. “How can we contract the same company and moreover without any time limit for the country to build her own capacity to carry out the inspection, how long are we going to enrich these people, why do we need the same people.” said Kakooza. 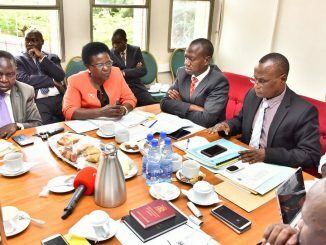 At this point, Speaker Rebecca Kadaga instructed the Committee on Physical Infrastructure to investigate the matter as well as examine the contract with SGS within a period of one month. With this decision, Minister Azuba noted the existence of a valid contract and that government would risk litigation. But Kadaga directed that the Minister suspends all activities at the caution phase and stop all announcements about vehicle inspection until parliament has a report. She also directed that the June 30th vehicle inspection deadline be extinguished immediately. However, government Chief Whip Ruth Nankabirwa said that the deadline although not communicated had been lifted by government. Vehicle inspection has been going on at different facilities including Kawanda on Bombo road, Nabbingo on Masaka road, Namulanda on Entebbe road, Namanve on Jinja road, Mbale, Gulu and others. According to Minister Monicah Azuba, the inspection of vehicles is very critical to road safety and the items that are being inspected include brakes, wheel alignment, headlamps, suspension, steering wheel alignment, exhaust smoke and signaling lights.